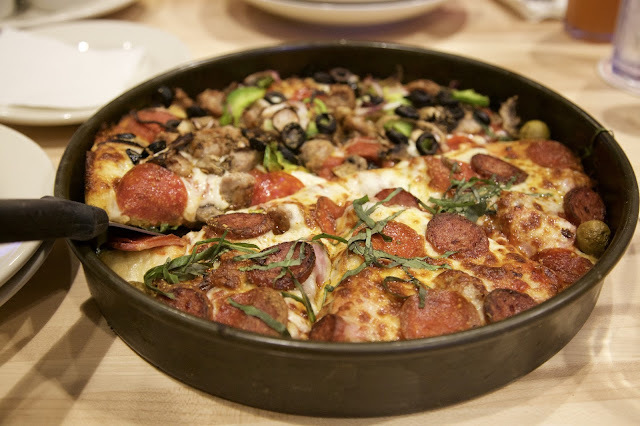 Delicious pizza, amazing mac and cheese, and incredible happy hour deals. 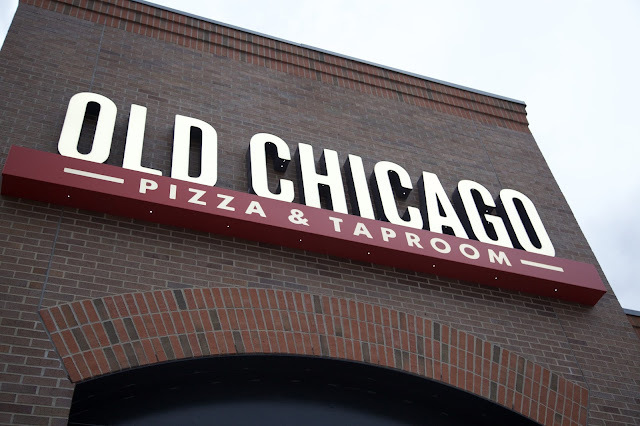 If those don't make you feel like giving Old Chicago a try, then I don't know what will. If you're anything like me, it's easy to get stuck in the same old restaurant rut. But about a week ago, Aaron and I got the opportunity to visit Old Chicago Shoal Creek. 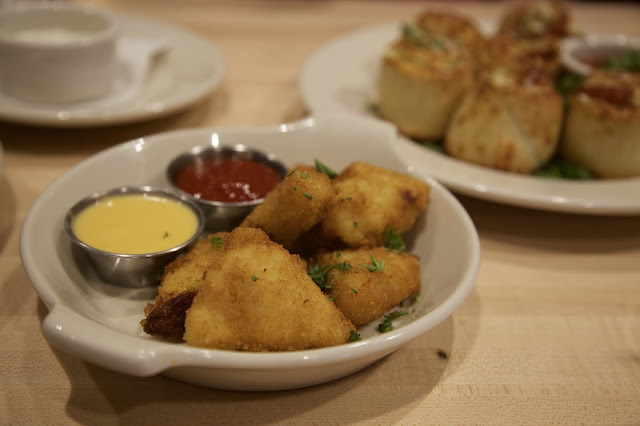 The restaurant chain has been around since 1976 when it started in Boulder, Colorado, but this particular restaurant is new to the area, and is located near Liberty, right off of 152. Aaron visits for happy hour, but we had never gone for the full experience. Until now. From the very start, we were very pleased with the environment and service. The place was packed, but we were still seated right away, and warmly greeted by the manager. There were 16 TVs in the bar, and three more in the dining area, so it's definitely a great place to watch the game with friends. 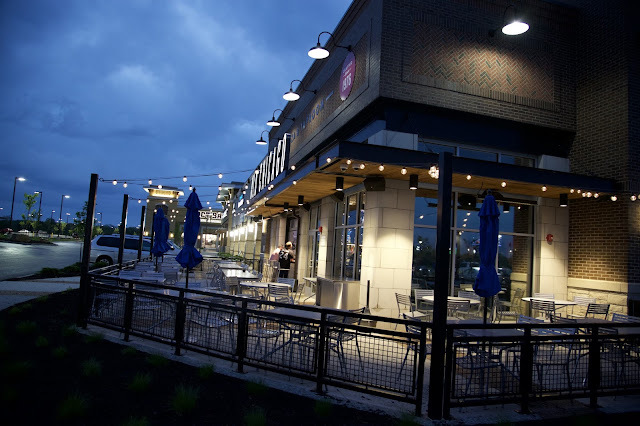 They also have an amazing outdoor patio space with a garage door that opens up to let fresh air into the restaurant. There are also umbrellas if you're a shade person. Our waiter, Hugo, truly tended to our every need with just the right mix of attentiveness and personality. Outdoor area with garage door that opens up into the restaurant. We stuck with an Arnold Palmer and an iced tea, but they do offer a huge lineup of world class beers. They offer daily $3 craft beer pints and $4 crafted cocktails (see the list here). And if you're a night owl, come from 10 to close every night and you can enjoy $2 PBR cans, $3 pints of anything, $4 wine and call drinks, and $5 you call it. You can even join the OC Rewards program to try out the World Beer Tour and earn rewards along the way! Oh. My. Goodness. Anyone else out there who can totally eat apps for a meal? 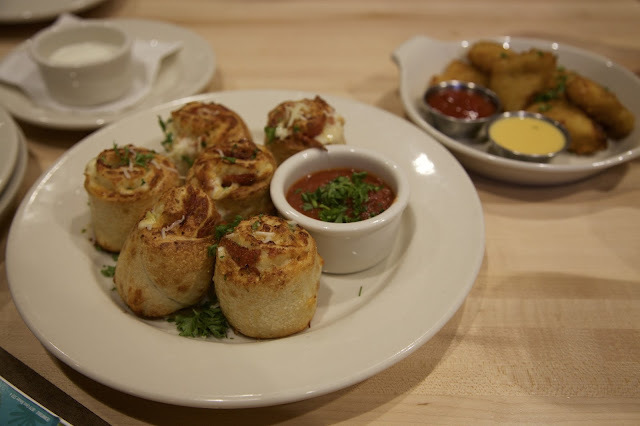 We just had to try the Sicilian Pizza Rolls, served with fresh marinara and house made ranch. They were seriously so good and cheesy, and the dough was cooked to perfection. We also had to sample the new Bacon and Cheddar Mac and Cheese Bites. If you're a mac and cheese lover, you've GOT to give these a go. Served with a delicious beer cheese dipping sauce and spicy Sriracha ketchup, they were just the right mix of crispy and delectably cheesy. As if we even had room for all of it, our main courses arrived. A half Meat Me, half Chicago 7 pizza on Chicago thick crust couldn't have been better. We took most of it home for the next day's lunch, but I would highly recommend both of them. Chicago 7 is similar to a supreme, and Meat Me is your "meat-lovers". They also have pizza made with white and pesto sauces, if you're looking for something a little different. We couldn't leave without giving the mac and cheese a try. We landed on the Chicken Pesto, which was probably one of my favorite things we ate, but they also do "craft your own" mac and cheese. You can order the sauce, stir-ins, add-ins, and toppings! 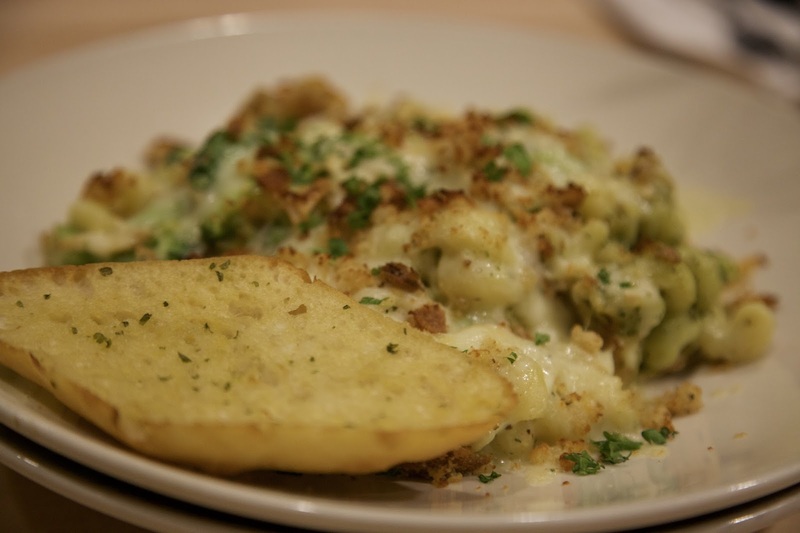 If you're not feeling pizza when you visit, go with the mac and cheese! It doesn't matter how full I am, I can always make room for dessert. Anyone with me? Brownie Bites were new and highly recommended, so we splurged a bit. Boy, am I grateful we did. 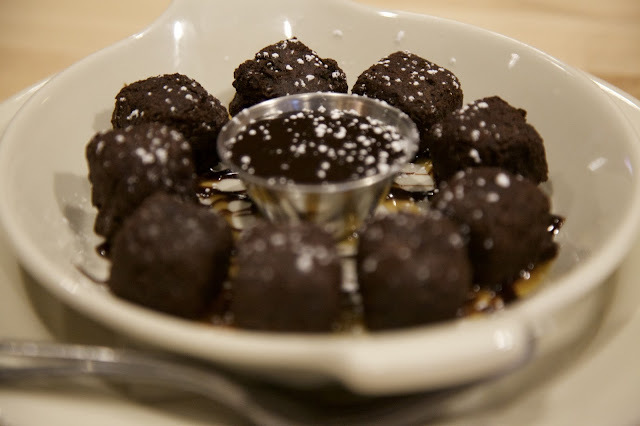 These brownie bites were lightly fried on the outside, oh-so soft and moist on the inside, and topped with caramel and just a hint of powdered sugar. Give them a dunk in the chocolate fudge sauce and I'd say you have pretty much the perfect dessert. 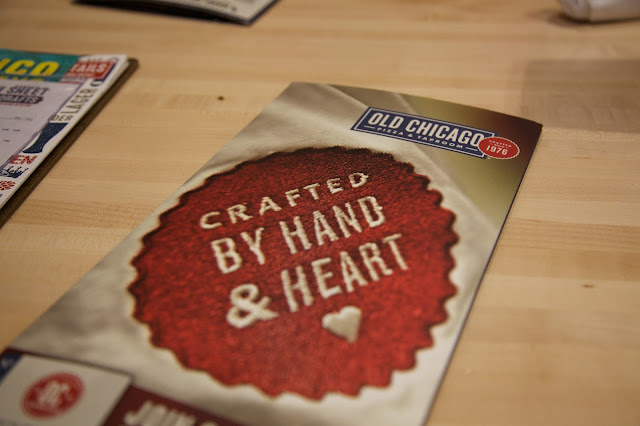 We left with full bellies, large to-go boxes, and an overall amazing experience at Old Chicago. 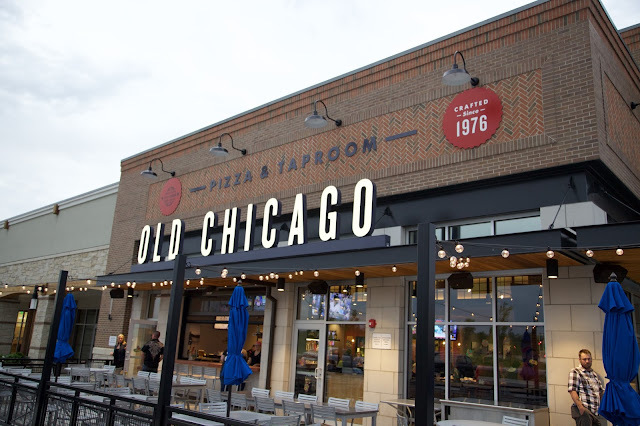 I know we will definitely be back to take advantage of the happy hour (3-6 pm Mon thru Fri) and late night specials (including $2 one-topping pizzas!). They also have some great pizza/calzone and salad lunch specials for only $7.99. Whether you're out with the guys, your other half, or even celebrating with the family, Old Chicago is definitely worth a stop. 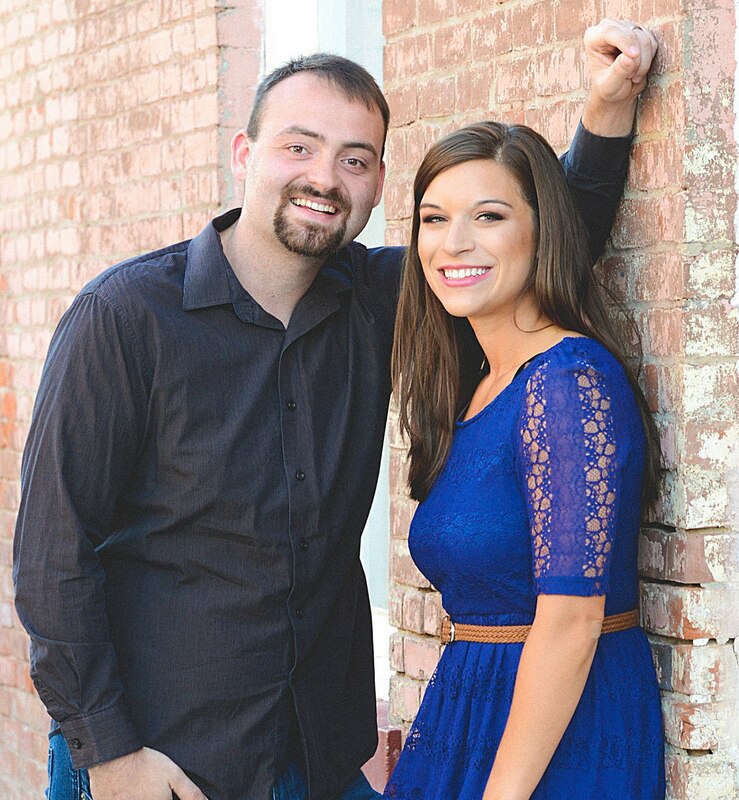 Check out their website, or like them on Facebook. You won't be disappointed. Happy eating! Okay, that settles it. I'm hauling my pregnant self to KC to eat every single thing you talked about. Except I think I might start with those brownie bites. Fried!? Caramel!? Seriously, it's restaurants like this that, more anything, make me rethink this rural-living thing. Haha! I know right. Perks that can't be overlooked :) And they were amazing. I think you should totally come to KC!! I went to the one in Columbia, SC and it changed my life! Can't wait to go back! We can't wait to go back either!! This is by far one of the best places to hang with friends, have great drinks (amazing beer selection), eat some great food, including the great lunch I had at venues in Atlanta. Prices are very reasonable and the pizza was awesome.